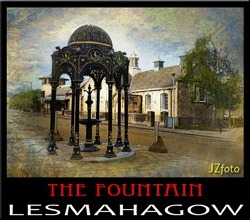 ​Please go to the Contact The Club page for directions to The Fountain. Clydesdale Camera Club is a friendly group of photography enthusiasts who meet every Monday night in The Fountain, Abbeygreen, Lesmahagow. Meetings start at 7.30 pm and run from September to April with a short break over Christmas and New Year. Please come along if you have an interest in learning more about photography. Our members are of a broad age range and ability. Whether you are a novice or a more experienced photographer you will be made welcome. Throughout the season we have guest speakers covering a wide range of subjects, club competitions and workshop nights. The new season starts off with The Presidents Welcome and Enrolment night on Monday 4th September 2017 at 7.30 pm This is a good night for new members to find out what we have to offer. Founded in 2009, Clydesdale Camera Club is affiliated to the Scottish Photographic Federation and to the Glasgow District Photographic Union. Clydesdale Camera Club. All images remain the copyright of the photographer and cannot be used without express written permission.